Not my photo, obviously, but Dali doesn't look like he cares. Spain, around the bend(s) cyclists , Dali and secret beaches. Into Spain now. We took the (slow, bendy but picturesque) road from Collioure, through Banyuls and eventually across the border. Even in these open border days, this one was a shock; covered in graffiti and vandalised. If they ever reinstate border controls the officers who come back here are in for few days of tidying up before they can start work. Warm weather, lots of steep hills, means bikes. Not the motorbike fraternity, they’re mostly weekenders, but the Chris Froome / Bradley Wiggins wannabes. They’ve got all the right gear on, the bikes are carbon fibre and cost small fortunes, so what’s the problem? Great to see so many people out and about in the fresh air devoting so much time and effort to their sport, surely? Well, yes and no. I’m always pleased to see kids kicking a football about, tennis courts in use, even seeing little kids on climbing frames with anxious mums in tow, but I must admit to a little self interest here. Cyclists are up there with caravaners as road blockers. Today is a case in point. On the flat, they ride three as there’s three of them, abreast. Cyclists are a protected species in Europe and rightly so, but why must they take up an entire carriageway to chat amongst themselves while a vast line of traffic builds up behind? Uphill, they weave across the road, eyes out on stalks, grimacing with every push of the pedals and going down they take the ‘racing line,’ cutting corners and whooping like dervishes. The roads are narrow so passing is difficult anyway, but a distance of three miles or so takes the cyclists, and the following traffic queue, of which we are at the head, about five hours. Okay, maybe not quite that long, but it feels like it. Rant over. I love cyclists, really, and admire their fitness and devotion, if not their dress sense. What looks good on Laura Trott, sorry, Laura Kenny now, is less attractive on a person twice that size. Middle aged men, beer guts and Lycra are uneasy partners in the style stakes. 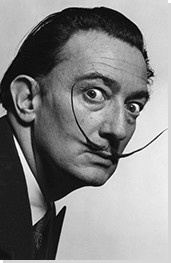 We wonder about going to Figueres for the Dali Museum. We've been before and it is wonderfully weird. I remember the bullet-riddled Cadillac relating to Al Capone, a friend, apparently, and the pair of lips sofas, which I seem to remember being modelled on the lips of Mae West. 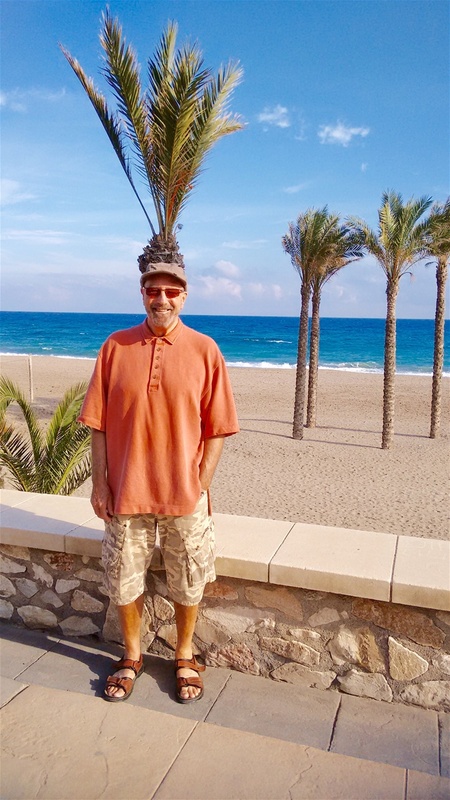 Figueres has a big cloud over it, so we decide on the spur of the moment to keep the Dali thought in mind, stay on the coast and go to Cadeques instead, where the sun is shining. Cadeques is a pretty little place and Salvador Dali bought a small house near here when he met Gala, the woman who was to be his muse, chief model and partner in applied lunacy. His father disliked Gala, who was married to someone else at the time, and said so. Dali moved out to Cadeques in a small house to which he later added several other small houses, arranged in a ramshackle and bizarre manner. Not much chance of a reconciliation after that! The house has no formal structure, but from the entrance, the first thing you see is a huge bear, winds around in a seemingly random manner, linked by narrow corridors. You go up, you go down and there are several dead ends. Rooms have windows of different shapes and sizes, but the common feature is the glimpses of Portlligat bay, which Dali used in many of his artworks. 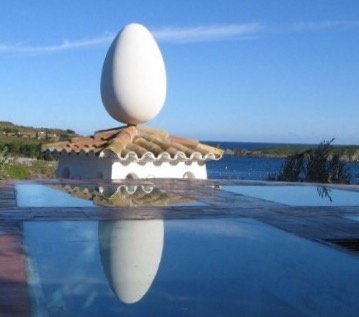 Oh, and there's an egg on the roof, but we've all got one of those, right? 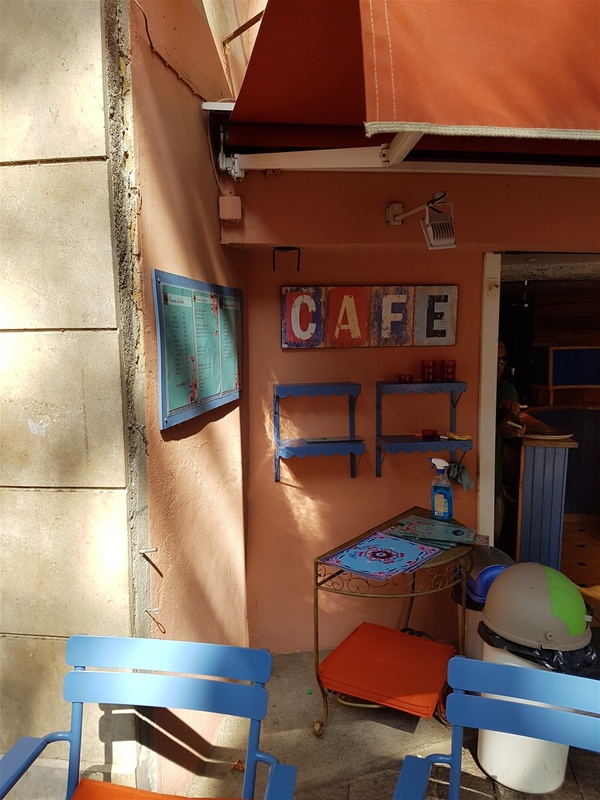 We wander back to Cadaques and find a café. It’s a gorgeous day and the sea is sparkling. This little bay used to be a Mecca for artists and there are pictures scattered around the place commemorating famous visitors. I recognise Picasso, Spain’s favourite poet - Federico García Lorca, Matisse and, oddly, Mick Jagger. Moving on, we leave the Costa Brava behind, briefly join the motorway to skirt Barcelona as neither of us wants to face the roads, traffic, crowds or parking difficulties it presents and head for an un-named beach we discovered in our motor home days. Marigold is convinced it lies at the end of a long, sandy trail, but that turns out to be the entrance to someone’s farm, complete with fierce dogs, so we vamoose out of there, sharply. We find it, eventually, and it is as good as ever. We are the only people there, no footprints in the sand, apart from those made by a dog, the sun is shining and the sky is blue. Okay, there’s no ‘facilities’ and no beach bars, what remains is splendid isolation. This is desert island beach life and we spend a couple of hours, strolling around, paddling in the surf, even a brief swim where we discover the water is warmer than we imagined, but there are jellyfish so it was a quick in and out. We’re planning a car day tomorrow, a longer drive than usual, but with stops, as we are committed to being very much further down into Spain soon and have been a tad dilatory lately, moving only a few miles at a time. At least Marigold will get a good day’s sleep, in the car, tomorrow. Have heard from Monika as she will always be known to me. There is still a toilet roll shortage in Russia. Thought about sending her a letter as it would have been useful to use. She couldn't sell all her case full of cheese as the secret police questioned her. She can now eat the lot or use it in the toilet. She is so sweet and has a load of people from China to show round St Petersburg. She says they are the worst tourists as they run everywhere doing selfies and are not interested in the culture. Just hope they don't want to use the toilet. Tried a dress on yesterday. Was very optimistic. Got it stuck and G had to perform an operation to get it off. Felt very hot and bothered. Don't understand all this abroard sizing. Anyway gave up and bought some earrings. They fitted a treat with a bit of give. I am still covered in bites. Luckily the tablets are working. I sleep through the itching and generally am comatose, drugged up, hallucinating. Fairly normal, really. The swim/paddle in the sea was scary. Almost had a panic attack about the jelly fish but with all the tablets in my system might have been immune anyway. Secret beach, somewhere in Spain. Not telling you where it is. Anything Salvador Dali can do Marigold can do better. This pic on Christmas Day last year is true surrealism. Would have been even more impressive if she'd intended it.